David Calvillo delivers a multidisciplinary perspective to his clients from the Firm’s offices in Houston and San Antonio. As an accomplished board certified civil trial lawyer, professional neutral, certified public accountant, and certified valuation analyst, he brings a variety of skill sets and focused passion to his practice. 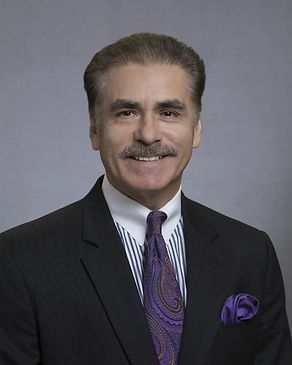 David has successfully tried, litigated, and arbitrated matters in diverse practice areas, including breach of contract, business separation, commercial liability, construction, shareholder rights, professional malpractice, personal injury and wrongful death, employment, debt collection, and intellectual property matters. David is also an experienced professional neutral and serves as an arbitrator in commercial, construction, employment, international and health law disputes with the American Arbitration Association, the American Health Lawyer’s Association, and in court appointed and party-selected disputes. As a mediator, David has earned the recognition of his peers as a Distinguished Credentialed Mediator. His multidisciplinary expertise has earned him the attention of his colleagues and courts throughout the State of Texas, who have tapped him to serve as a Special Discovery Master and Receiver in scores of complex litigation matters for over a decade. David’s training and experience with the world’s largest public accounting firms as a financial auditor and tax professional as well as his training as a business valuation professional, make him uniquely suited to advise and represent clients in financial and tax matters, including an evolving practice in tax controversy and litigation. David currently serves the legal profession as an Exam Commissioner for the Civil Trial Specialization Committee of the Texas Board of Legal Specialization, as a member of the Council of the ADR Section of the State Bar of Texas, and as an elected member of the American Law Institute; he has previously served as the Chair of the region’s State Bar of Texas’ Grievance Committee. David also feels called to participate in and contribute his talents to the community. For example, he has served his parishes throughout the years as a member of the Finance Committee, Pastoral Council, and in various ministries. He has likewise served as an officer and President of the Board of Directors for the local Boy’s and Girl’s Club, youth sports coach, and currently serves as a fully trained Assistant Scoutmaster with his sons’ Boy Scout Troop. He is a charter and continuing member of the Board of Contributors for a historic South Texas newspaper. A native of the Rio Grande Valley in deep South Texas, David Calvillo is also proudly bicultural and bilingual, fluent in English and Spanish. Totus Tuus. Represented the family of the deceased in a wrongful death and survivorship action resulting in a sizable recovery for the surviving beneficiaries.